The digital humidor thermometer hygrometer is a hygrometer, which is able to make very accurate measurements. This hygrometer is a combined thermometer and hygrometer in one. 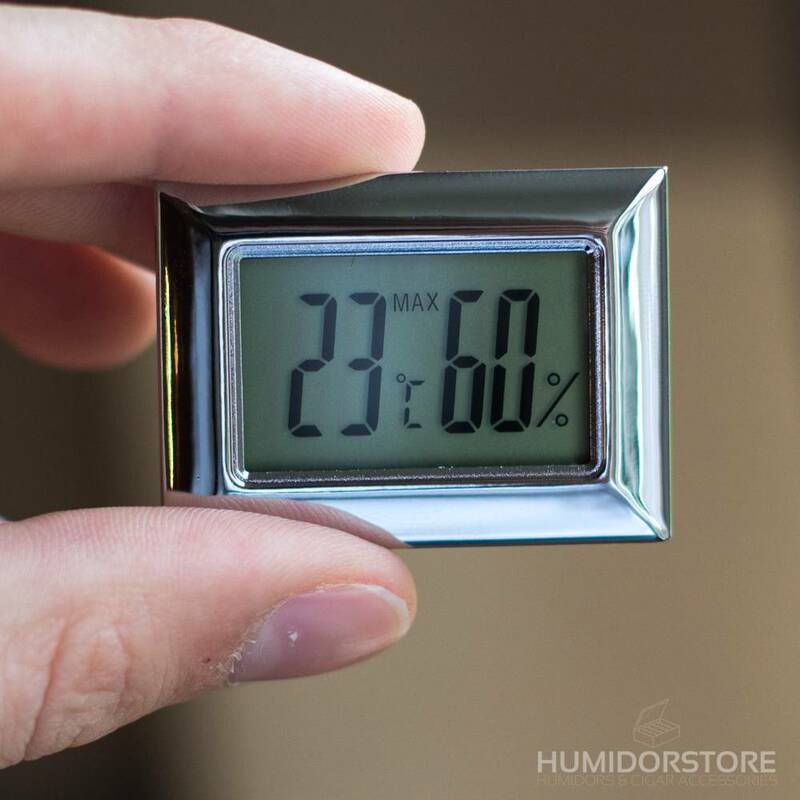 The digital humidor thermometer hygrometer is a hygrometer, which is able to make very accurate measurements. This hygrometer is a combined thermometer and hygrometer in one, and makes a new measurement every 10 seconds. These measurements can both be displayed in Celcius and Fahrenheit. 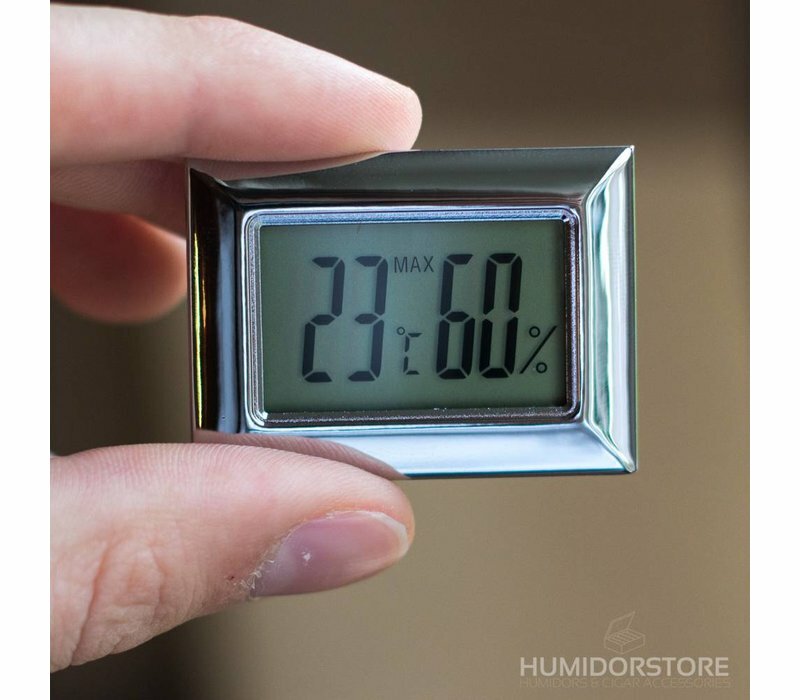 The digital humidor thermometer hygrometer includes a battery and has a magnetic backside, which makes it easier to attach it to your humidor. This is the place to be for me, Humidorstore meets all of my expectations and even surpasses that.